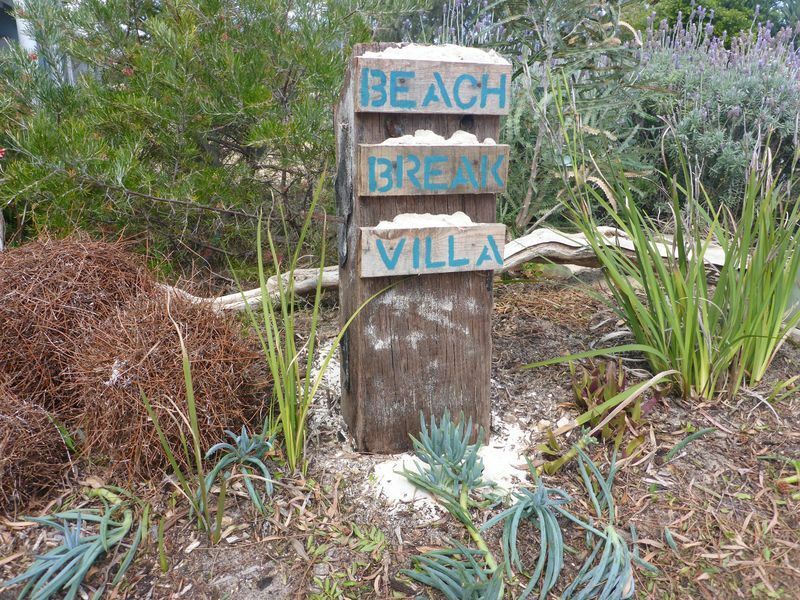 3 bed 2 bathroom sleeps 8 with ocean & bushland views. Almost on the beach. Everything is provided (except food, drink and beach towels) for you to have a wonderful holiday break. Reverse cycle unit in upstairs living area with ceiling fans in Beds 1 & 2, pedestal fans in other areas. Reverse cycle unit in upstairs living area with blow heater downstairs. Separate portable heater supplied in winter months. Quality linens provided with array of pillows & extra blankets in each room. Secure parking for 2 cars in front of villa with more available if required. Roller door covered garage with room for one car only as this is where the kayak & bikes are housed. Nespresso pod machine with separate milk frother. Small supply of pods supplied, byo favourite. Also small variety of tea bags supplied. Dining area adjoining kitchen - large table seats 8 comfortably. A request must be made with the Caretaker to ensure access availability. Thanks so much for your kind words Daniel, look forward to welcoming you back some time. We had a fantastic stay for 5 nights over christmas. The clean and tidy unit had everything you need with all towels and linen supplied and many extras such as dvds, board games , tennis racquets .... the list goes on. We will be back ! Thanks so much Ashlea it was a pleasure to welcome you to our property & so happy you enjoyed spending Christmas there. Look forward to hearing from you again. What a fantastic Villa every thing you need except for the PPG Bucket in the garage. Oh the competitor's bucket.... To make you feel better my husband dealt with SS Industries when he was in business & bought a Spray booth/oven etc from them some years ago now. Thanks for your review & should you return to Beach Break Villa in the future I will make sure to remove the bucket so you don't have nightmares LOL. An amazing and well stocked villa! This was a truly fantastic holiday experience for my large family. With 5 kids aged from 3 through to 14 and 2 adults, there was enough room, activities and comfort for all. The Villa was so very well prepared for families, we were never short of anything. Games, books DVDs all provided. The location felt very safe, with a pool, tennis court and games room not more than a 20 second walk. We will most definitely be back again. I highly recommend this for anyone thinking of visiting Ledge Point. We loved our stay in this beautifully decorated two story villa. It was so child-friendly, fully stocked with a huge range of board games and dvd's that the kids loved. The kids loved playing table tennis and table soccer in the games room just opposite and even braved a swim in the heated outdoor pool. The complex that the villa is in was really quiet during our stay. It's beautifully well cared for and when we come to stay next time we'll bring bikes and skateboards because there is plenty of safe road for the kids to use. The villa itself was clean and decorated tastefully in a beachside theme. All linen and towels were provided. The kitchen had everything we needed and more. There were several crockery sets so we didn't need to wash up every time we had a meal (they went in the dishwasher) and heaps of platters and useful bits and pieces. The best bit was the view of the ocean from the top floor. We adults kept that for ourselves and the kids had the downstairs living area to play and watch tv. We read in the comfy chairs and could have chosen from the huge range of dvd's if we had felt like watching a movie.